One learns medicine, including pediatrics, by first learning a set of rules and then spending the rest of his/her productive career discovering exceptions to those rules. 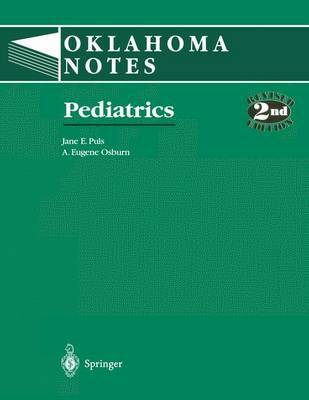 This book is intended to serve as a study guide for organizing the acquisition of an initial foundation of information about pediatric topics. Without an initial set of rules all new information is simply another new rule, and not an interpretive frame of reference for the deeper level of understanding that occurs with the recognition that one is dealing with a change in his previously held belief. As such, we have attempted to include what we think most would agree are com- monly held operational "facts" of pediatrics, and have not tried to justify or sub- stantiate the facts with references or lengthy background information as to why these facts are currently thought to be true. Our primary intent in writing this book is to provide an adequate core of pediatric information to enable one to pass the pediatric portion of the national boards. We hope it will also provide a foundation for those who wish to spend more time discovering why children are different. If this study guide fulfills whichever of these needs is yours, it will have been successful. Jane E. PuIs, M. D. A. Eugene Osburn, D. O. vii Acknowledgments No effort of this magnitude can be accomplished without a good deal of support.